You can view these two leaderboards by visiting the FIFA Interactive World Cup on Facebook and clicking on the ‘Community Leaderboards’ tab. FIFA Interactive World Cup 2014 gamers are hard at work trying to climb the qualification leaderboards in the opening season of FIWC 2014 which runs from 1 – 31 October 2013. 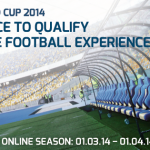 By the end of the month, three lucky players will have booked their seats at the FIWC 2014 Grand Final in Rio De Janeiro! The traditional main qualification leaderboard continues to tick along on FIFA.com as players desperately try and edge their way into the top two positions for Online Season One. The top two players for Season 1 will be the first to claim their places alongside defending champion Bruce Grannec at the FIWC 2014 Grand Final in Brazil. 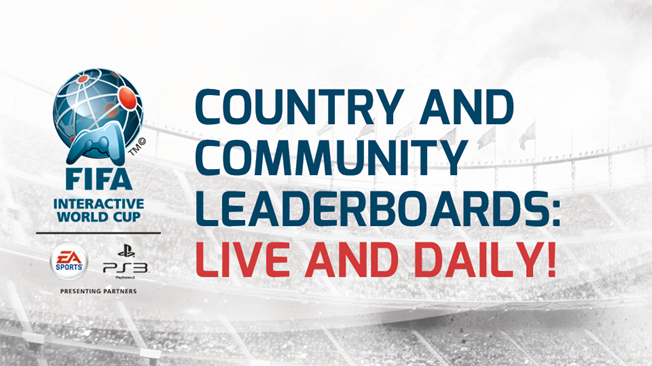 The exciting new leaderboards – the Community Qualifier and Country Challenge – are available on the FIWC Facebook page. These two leaderboards, along with the main FIWC leaderboard, are updated daily ensuring that FIWC competitors stay up to speed on the latest leaderboard chases, challenges and shake-ups! What is the Community Qualifier? For each of the six online qualification seasons a Community Qualifier seat will be awarded to the player with the best Community Qualifier performance. This performance is based on a win-loss ratio that rewards quality of games over quantity. To find out how the ratio is calculated and learn about the various tiebreaker scenarios for this qualification seat visit the Community Qualifier section. You can track your progress for this method of qualification by viewing the Community Qualifier Leaderboard. you must play a minimum of 30 games in one season to be eligible to win the Community Qualifier. What is the Country Challenge? Every online season all participating countries will be ranked according to their overall performance in the Community Qualifiers. 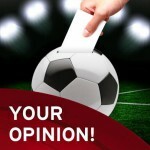 Help your country to win a season’s Country Challenge by performing well in the Community Qualifier. 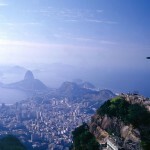 The nation that wins the County Challenge will be rewarded with an incredible prize – a trip for two to watch the final day of FIWC 2014 in Rio de Janeiro and two tickets to a 2014 FIFA World Cup Match in Rio De Janeiro! The prize will be awarded as follows: All players that help their nation win the Country Challenge and that meet the Community Qualifier game minimum (30 matches) will go into a prize raffle for the Country Challenge Prize. One lucky name will be drawn at random! A country will only be able to win a County Challenge once ensuring that over the course of 6 seasons, 6 different countries will walk away with the Country Challenge prize.